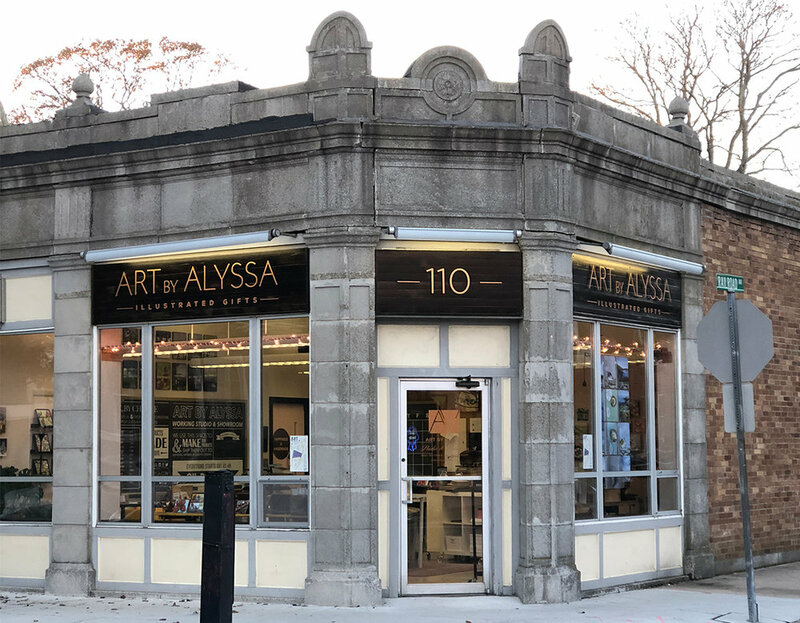 We wanted an elegant feel with a rich color palette for Art By Alyssa's main street exterior signage. The corner location wasn't ideal for a blade sign so we opted for 2 independent flat signs with a matching address number sign in the middle. Using tongue and groove pine, we stained it a deep walnut and sealed with urethane for deep color and contrast. The metal numbers and letters are aztec gold and we chose to raise the big letters and mount the small ones flush for additional depth. The signs look great day and night.